At Spicerhaart we are driven to provide the best possible customer service across all of our divisions with a view to make your experience stress free and deliver the results you demand. We are delighted that our team of highly experienced, qualified experts regularly receive praise from the people that matter: our customers. 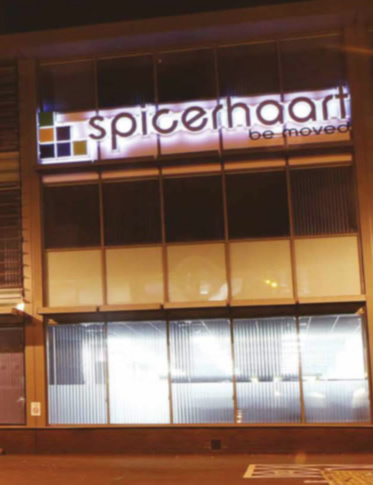 Not only is Spicerhaart one of the biggest mortgage brokers in the UK, we also operate one of the largest independent estate agency groups in Europe, combining the strength of haart, Darlows, Felicity J Lord and Haybrook. We have transformed the way in which people buy and sell property – creating a one-stop shop for financial and legal services, surveying and estate agency. Millions of pounds have been invested in technology, supported by extensive training of our workforce, to streamline and integrate all our operations. It has made us one of the most successful and profitable independent companies in the country. We value over a quarter of a million residential properties each year and arrange more than £2.5 billion of mortgages. Our annual turnover forecast is in excess of £100 million. We employ around 2,000 people in more than 200 offices, offering an extensive range of services through our diverse group of companies, which include many well known High Street names. From the day we were established in 1989, we have led the way in new developments in financial services and estate agency. With Chief Executive Paul Smith and Managing Director Russell Jervis at the helm, we are continuing to grow. We are investing in the ongoing development of our corporate and professional services and continuing to strengthen our compliance team to handle changes to regulations, while expanding our links with financial institutions and other estate agents.